There were four groups of people who became 49'ers. They were Americans, Chinese, Native Americans, and Mexicans. Due to the gold rush in California, California changed. One way that California changed was because the population increased rapidly. Another change that California had was that the grizzly bear exterminated. A Californio is a Spanish-speaking, Latin American descent, born in California from the first Spanish colonies. Descendants of Californios are also sometimes referred to as Californios. The California Gold Rush began on January 24/1848, when gold was found by James W. Marshall at Sutter's Mill in Coloma, California. The first to hear the information about the Gold Rush were the people in Oregon and Latin America, who were the first to start flocking to the state in late 1848. The first people to rush to the gold fields were the residents of California themselves. These first miners tended to be families in which everyone helped in the effort. Women and children of all kind were often brought to help the husband in the search for gold. Word of the Gold Rush spread slowly at first. Then a year later the word of the Gold Rush had spread around the world. The discovery of gold in California attracted miners from different backgrounds, all with the goal of becoming rich. Among these people were the Chinese. The Chinese would provide reliable labor and bought tools, supplies, and mining equipment form American manufacturers. After the Gold Rush when the Transcontinental Railroad was completed in 1869, thousands of unemployed Chinese went looking for work. 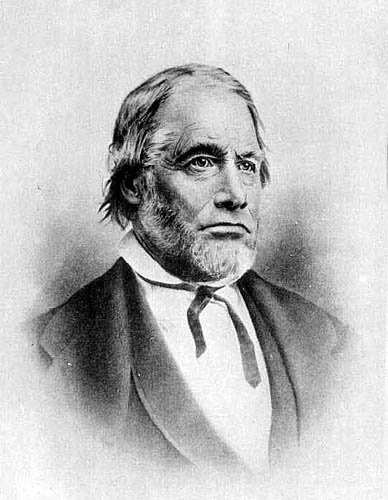 Mariano Vallejo was a Californian military commander, politician, and rancher. 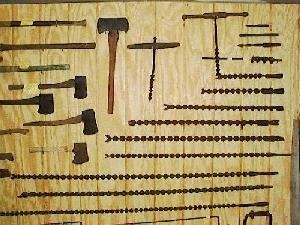 Buy your mining tools today! Cheap and worth it! It will give you a chance to hit the jackpot! Don't miss out on this sale!!! 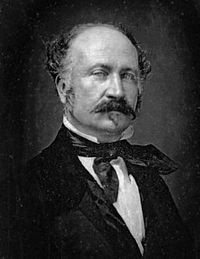 John Sutter was a swiss pioneer of California known for his association with the California Gold Rush by the discovery of gold by James W. Marshall and for establishing Sutter's Fort. This is a map of the California Gold Rush in 1849. James Marshall was an American carpenter and sawmill operator, whose discovery of gold in the American river in California on January 24, 1848 set up the California Gold Rush.